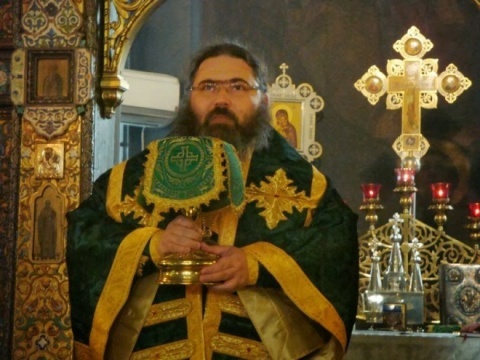 By nine votes to three, the Bulgarian Orthodox Church’s governing body, the Holy Synod, elected Znepol Bishop Yoan as the new Metropolitan of Varna. In the vote on December 22 2013, the other candidate, Bishop Serafim of Melnik, got three votes. This was the second attempt to choose a successor to Varna Metropolitan Kiril, who died in summer 2013 while diving in the Black Sea. The first attempt was overturned by the Holy Synod after protests by clergy and laity who alleged that there had been irregularities, including vote-buying, when the electoral college first met in Varna. The second attempt on December 15 produced different shortlisted candidates. The outcome of the process was welcomed by local clergy and laity and, at a December 21 meeting, the Holy Synod declared the second election in Varna to have satisfied the canon law of the Bulgarian Orthodox Church. Yoan was born in Yambol in 1969. A graduate of Sofia University’s faculty of theology, he studied at a theological academy in Moscow, became a novice in 1998 and a monk in 1999. He was appointed coadjutor of the diocese of Sofia in 2002 and was made an archmandrite. Yoan was consecrated a bishop in 2007 and became vicar of the Sofia Metropolitan. The post of Sofia Metropolitan is held simultaneously with that of Patriarch of the Bulgarian Orthodox Church.